Hostal Casa Kima' offers a unique ecological experience in the heart of the Huasteca region, with easy access to multiple river sports (kayaking, rafting, paddle boarding) and dozens of stunning natural places to visit nearby. The hostel offers premium budget accommodation in Ciudad Valles. Despite being in the center of the town, within walking distance to the city's main market, Casa Kima provides a cozy space in a relaxing atmosphere, surrounded by many plants, trees, and bamboo buildings. Our 3 dorms are clean, wide, and comfortable. Each dorm has its own lockers and bathrooms. Each bed has its own light and outlets. All dorms are beside our garden. We also have a large outside kitchen, indoor & outdoor showers, hammocks, common areas, and relaxing bamboo structures. The hostel is run by Ricardo and Andrea, a couple of Mexico's leading bamboo architects. We also offer eco-tours and workshops focused on bamboo building and sustainability. 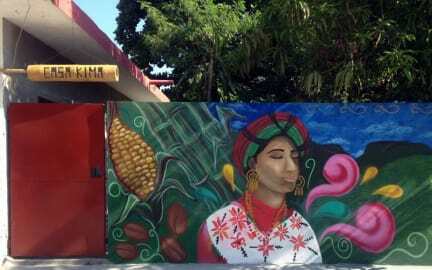 Casa Kima' aims to a link between the traveler and the local community for all things adventure, tradition, gastronomy, and the natural wealth that the Huasteca Potosina has to offer. We look forward to hosting you at our Casa Kima! - Check-in time starts at 1pm. - Check-out time is 12pm. - Arrivals until 1am. If you are arriving later, please get in touch in advance via phone call or e-mail. - There is a luggage room where we can store your stuff for a few hours after your checkout without cost. - Payment types accepted: cash, credit card and debit card. - This property may pre-authorize your card before arrival. - Breakfast is not included, but coffee and water are free. - No pets are allowed at this property. I stayed in a dorm with air conditioning (a must for summer in Ciudad Valles), but while I was there the owners son who is a bamboo architect was working on other bungalo type rooms that looked super cool. In general there seemed to be a really cool vibe around the hostel - the family that runs it and their friends are super friendly and positive. Highly recommended! Absolutely loved my time at casa Kima and the experiences the guys there allowed me to have,like kayaking at the falls, having local breakfast close by.. They're super friendly and make you feel right at home & the bamboo constructions make you feel in a jungle like settinf. It's super cool. You can get the comfort of the regular dorms or the edgness of the outside bamboo ones. Either way your stay will be a blast here. Made friends for life. Miss this place and the guys!! This place is an oasis in the city. Once you get within the gates, you could be anywhere : middle of a jungle, near the seaside. It is very eco-friendly, so a lot of the people that stay here have a focus on the environment and sustainability. Casa Kim is a great place to use as a Base to explore the area, and as it's on the same street as the local bus terminal, it's easy to get around. The staff and long tern guests are a wealth of information for activities in the area. 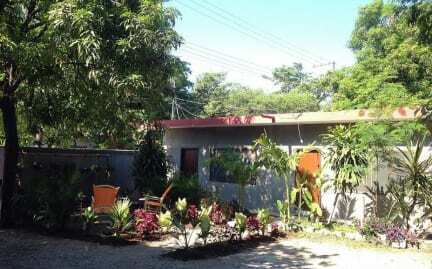 Great place to stay a while and do excursion in Huasteca Potosina. Not much to do around, but staff is friendly and beds comfortable. I had a very pleasant stay at the hostel, beds are comfortable and showers are nice. Common area with hammocks and a kitchen with fridge and water etc. Nevertheless, turning on the Aircon befor 8.30pm would be an important improvement since many guests come back from tours before that and the rooms are unbearably hot by then. When I wanted to go to the bus station my taxi didnt show so the owner (?) just spontaneously drove me there which was really nice and helpful. Thanks! Very nice cabins and bedrooms. It is quite new but also quite empty! Not very social hostel (almost no people), no atmosphere, no music. No one at the reception since it's the same receptionist as the hotel across the street. So when the workers are gone in the afternoon, anyone could go in the hostel and no one would notice. No knifes in the kitchen, in general the kitchen was not well equipped. The moskitos in the kitchen are eating you!! The beds are nice though and the bathrooms clean. It's okay, if you only need a place to sleep in the night.